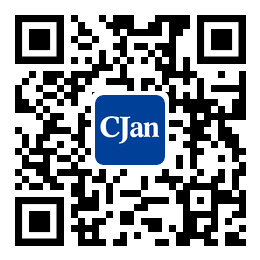 ﻿ Environmental Recycling of Carbon Steel Pipe Fitti - CJan Fluid Technology Co., Ltd. Carbon steel pipe fittings is an environmentally friendly material. Compared with welding operations and threading operations, carbon steel pipe fittings-site installation is very convenient. Low leakage rate, environmental protection and not easy to cause a risk. It is worth mentioning that the installation time of site installation is just 1/3 time of welding operations or threading operations, which not only shorten the construction period but also reduce the costs. 100% recycled. Carbon steel pipe fittings can be100% recycled. With excellent corrosion resistance, it will not scale in long-term use. Also, it has small transport energy consumption. Because of its high strength, the possibility of leakage is greatly reduced, saving a large amount of water. Meet health requirements. Carbon steel pipes, which meet the national direct drinking water quality standard, will not cause secondary pollution on water. Reduce heat loss. The thermal insulation property of stainless steel pipe material is 24 times than copper pipe material, heavily savings the geothermal energy loss in hot water conveyance. What’s more, carbon steel pipe fittings can also avoid contamination. It will not pollute the high-grade sanitary ware, avoiding "redness" and "blueprint" on wares. After 40 years development of carbon steel pipe fittings, compression fittings has become a mainstream and a booming trend in the developed regions of Europe, Asia and America and other countries, and the reasons summarized as follows: reliable and secure connection, high connection strength, anti-vibration. Also, it can avoid the possibility of "union" loose, such as the loose caused by housing vibration, water hammer vibration, pipeline resonance, and earthquake.